Why Meal Replacement Shakes Work and When Should you Take it? Don’t go on a diet. According to recent studies, diets can actually cause WEIGHT GAIN in the long term. Dieting is hard on your body and your mind! Dieting is ineffective because it increases chronic psychological stress and cortisol production. Cortisol is known as “the stress hormone” and increased levels of the hormone make you crave sugary, fatty foods. Basically, Dieting = more stress = more cortisol = higher appetite for junk food = more belly fat. Research has shown that frequent dieters are more likely than non-dieters to binge eat and gain weight. If dieting doesn’t work, what’s the answer to weight loss? 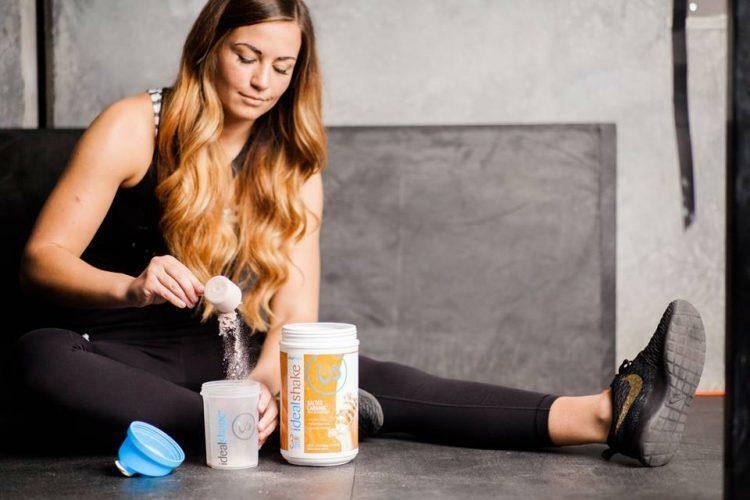 The answer might be different for every person, but millions of people have used meal replacement shakes as a SIMPLE way to control hunger and start losing weight. Everyone knows a meal replacement shake is well, a shake to be used in place of a meal. Doesn’t take much brainpower to figure that one out. However, ask someone what’s inside a meal replacement shake or how it’s different than a protein shake and you’ll get more confused looks. A meal replacement shake is NOT a protein shake. A meal replacement shake can and should have an adequate amount of protein, but a meal replacement shake is much more than that. Meal replacement shakes help you replace high-calorie or unhealthy meals with a lighter, more balanced option. They make the nutrition part of losing weight simple. Since meal replacement shakes are meant to replace a meal they contain essential nutrients, carbs, fats, and protein equivalent to a balanced meal. Meal replacement shakes designed for weight loss should also contain hunger blockers to keep cravings and appetite under control. Why do meal replacement shakes work? So how exactly do these shakes work? Do you just drink them and the weight magically falls off? Not quite. Like anything in life there is an explanation that makes sense. 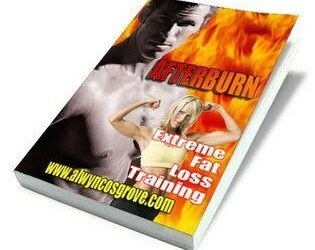 When it comes to losing weight, you MUST burn more calories than you consume. This is best done with a combination of eating less and moving your body more. Eating right can be extremely difficult in a world where Mcdonald’s and Dr. Pepper exists. The opportunity and temptation to overeat presents itself nearly every meal nearly every day. On the other end of the spectrum, we have dieting which is really not any better for your health and waistline. Why? Because most diets fail. Backfire even. Diets fail because they often restrict too much too quickly leaving dieters hungry, craving everything, and in a poor mood. Once you end the diet, you go right back to your bad habits, binge eat because you’ve been so deprived, and put the weight back on (or more). It’s a vicious cycle, but meal replacements can help end it! Meal replacements are delicious ways to cut calories without starving or depriving yourself. When should you drink a meal replacement shake? Meal replacement shakes can be used in place of any meal or used as a healthy snack to satisfy your hunger until your next meal. Many people enjoy using a meal replacement for breakfast because they are quick and filling. Simply shake and go! Others prefer to have them for lunch or dinner. It’s really up to you! I would suggest using it for the meal you struggle with most. So if lunch is when you tend to make poor choices and end up eating three cheeseburgers, try a meal replacement shake instead and save yourself hundreds of calories in the process. Another opportune time to use meal replacement shakes is in the evening as a way to fight cravings. Next time you’re dying for something sweet while watching the Tonight Show, mix up a yummy shake instead of opting for that entire bag of Oreos. Which meal replacement shake is the best? Now that you know that meal replacement shakes are effective for weight loss, which one do you choose? Will any old shake do? Does it provide adequate vitamins, minerals, carbs, and protein? Does it have some sort of hunger blocker to keep you from going hungry? Is there any sort of guarantee with the shake or social proof? If the shake you choose can answer all of these questions, chances are it’s a good fit. 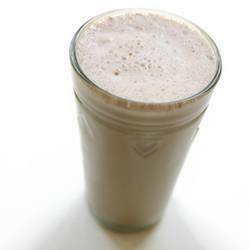 Our personal favorite is this meal replacement shake from IdealShape. It fits all our criteria for a delicious and effective meal replacement shake. IdealShake has 11g of whey protein with absolutely no soy. It also contains 5g of fiber and is high in all the essential vitamins and minerals your body needs. IdealShake has an INCREDIBLE taste with no weird textures or aftertastes. Plus it comes in 8 unique and fun flavors so there’s something for everyone to enjoy. IdealShake is one of the best priced shakes on the market coming in at just over one dollar per serving! You’ll actually save money while you’re losing weight! IdealShake has a powerful and clinically studied hunger blocker called Slendesta that has been shown to block hunger for up to three hours. This is huge! If your shake can’t block hunger, it’s not going to be very effective in helping you lose weight. Finally, IdealShape gives a fantastic 100% money back guarantee on IdealShake. If you don’t love it, no problem. Just send it back! There is absolutely zero risk for you. Now that’s ideal. I could watch Scli’dherns List and still be happy after reading this. There are no words to describe how boacuiods this is. These pieces really set a standard in the intrdsuy. Howdy! I know this is kinda off tpic however I’d figured I’d ask. I think we could greatly benefit from eacdh other. If you might be interested feel free tto soot me an email. I look forwarfd to hearing fromm you! Awesome blog by the way! 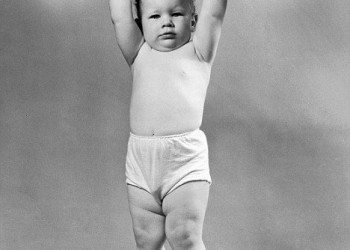 Can Strength Training Stunt a Child’s Growth?